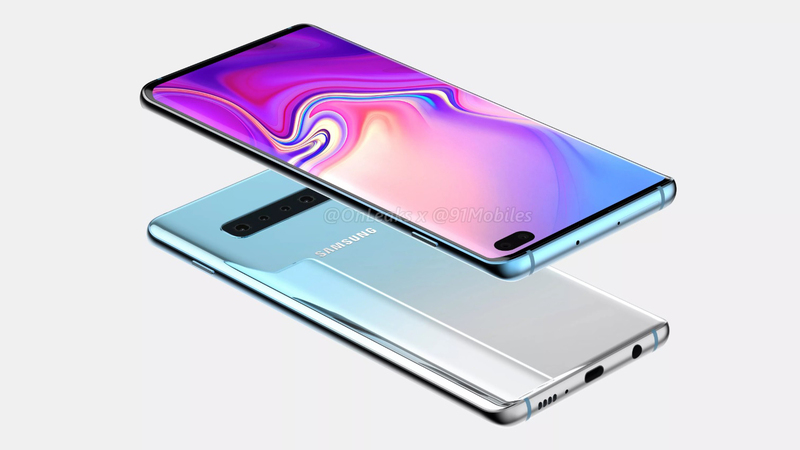 A regulatory filing has revealed that the Galaxy S10 will have reverse wireless charging capabilities. The filing suggests the phone will top out at nine watts for reverse charging. Huawei’s Mate 20 Pro, on the other hand, charges other devices at roughly 2.5 watts. We’ve seen repeated leaks regarding the Samsung Galaxy S10‘s reverse wireless charging feature, purportedly dubbed PowerShare. Now, an FCC filing has seemingly confirmed details regarding the feature. “The EUT [test device – ed] can be configured to receive or transmit an AC power signal through magnetic induction (MI) or magnetic resonance (MR). The operating frequency range is 110 –148kHz and can produce a maximum power of 9W,” reads the full excerpt of the FCC report. If the nine-watt figure is indeed true for reverse wireless charging, this means the Galaxy S10 can charge up other devices at an exponentially faster rate than the Huawei Mate 20 Pro. According to our own testing, Huawei’s flagship tops out at a measly 2.5 watt when charging other devices. This is well below the baseline five-watt charging speed you can expect from cheap wireless chargers, let alone today’s fast wireless charging pads. There is a chance, however, that this figure doesn’t reflect real-world results. We could be looking at the theoretical maximum charging speed for test units, while Samsung decides to limit the charging rate for whatever reason (e.g. safety). In any event, cutting the charging speed in half would still produce much faster results than Huawei’s device. In other words, if you want to give some juice to your friends, it looks like the Galaxy S10 might be the faster, more convenient solution. But we’ll need to wait for February 20 to get official confirmation of the feature and its details. The FCC filing also purportedly shows that the Galaxy S10 will support Wi-Fi 6 connectivity (802.11ax), which is the latest and greatest Wi-Fi standard. The new standard offers faster speeds, higher capacity, and better power efficiency, but you’ll want a compatible router to make the most of it. Would you use reverse wireless charging on your smartphone? Let us know in the comments!